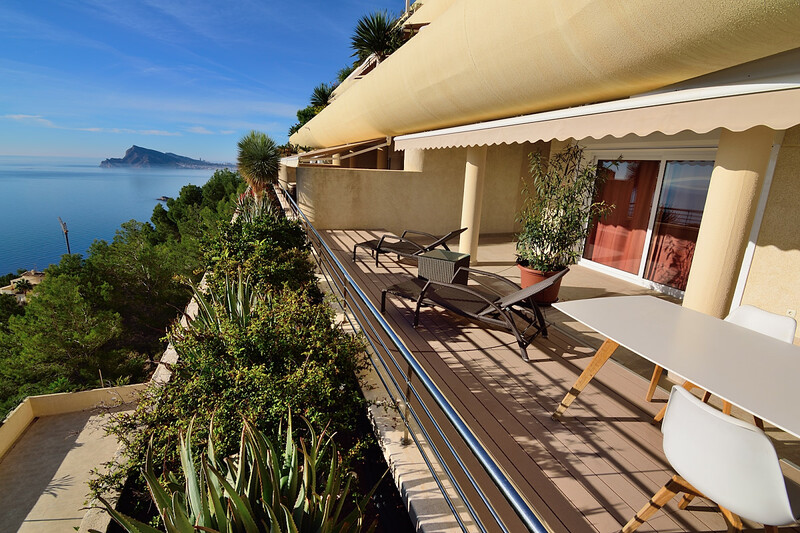 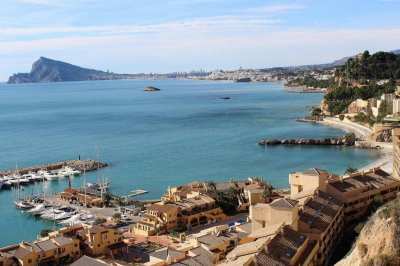 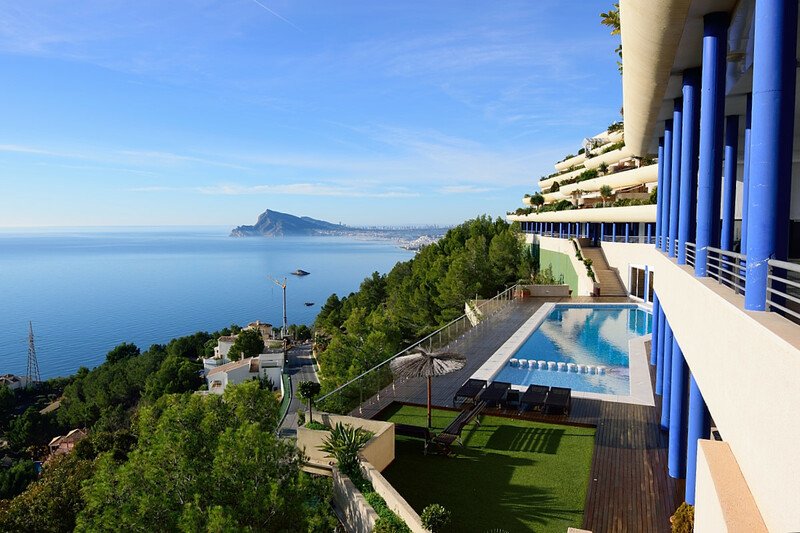 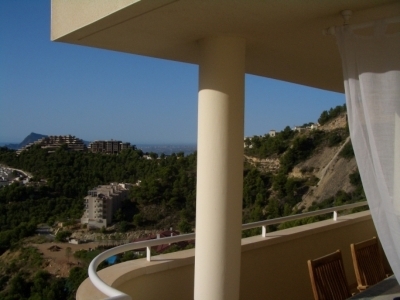 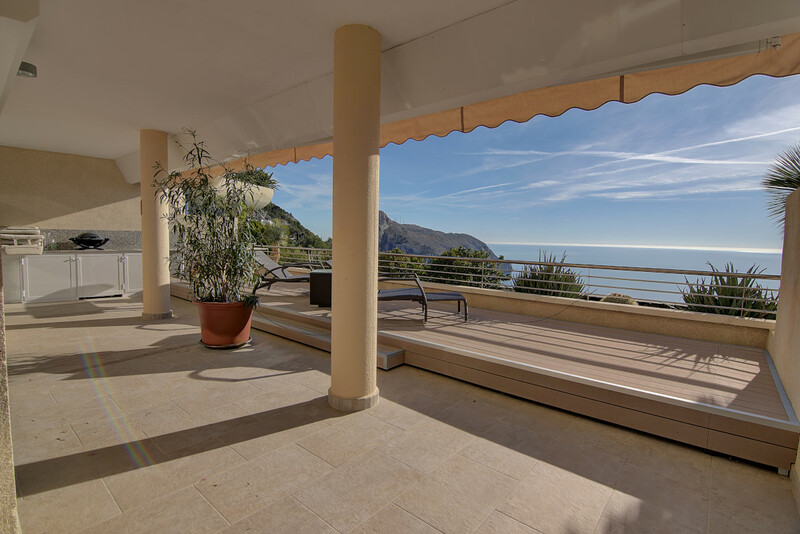 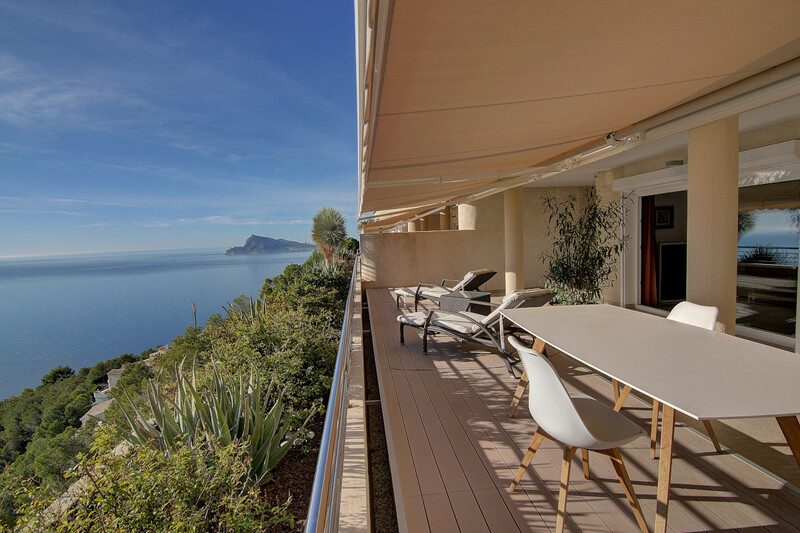 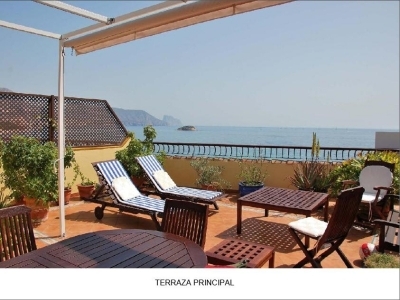 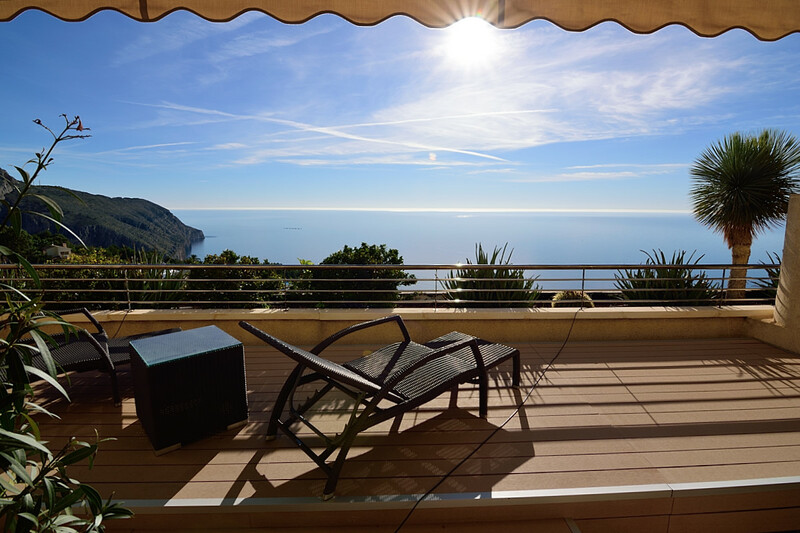 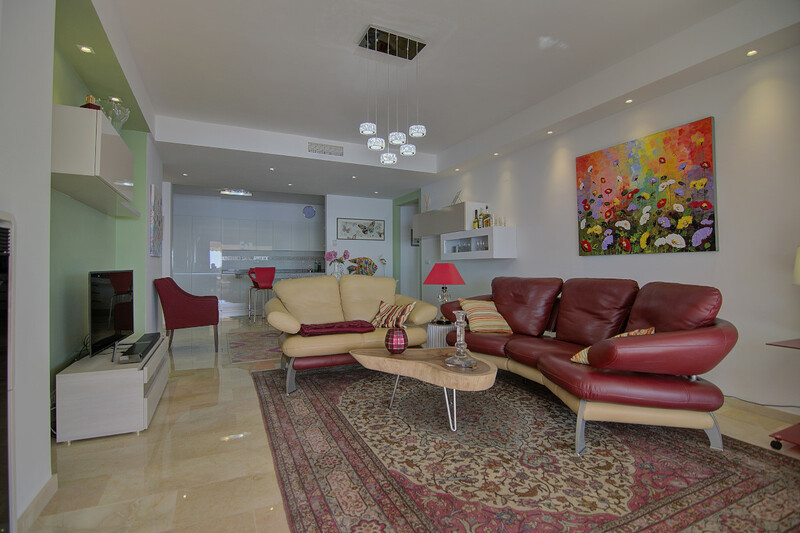 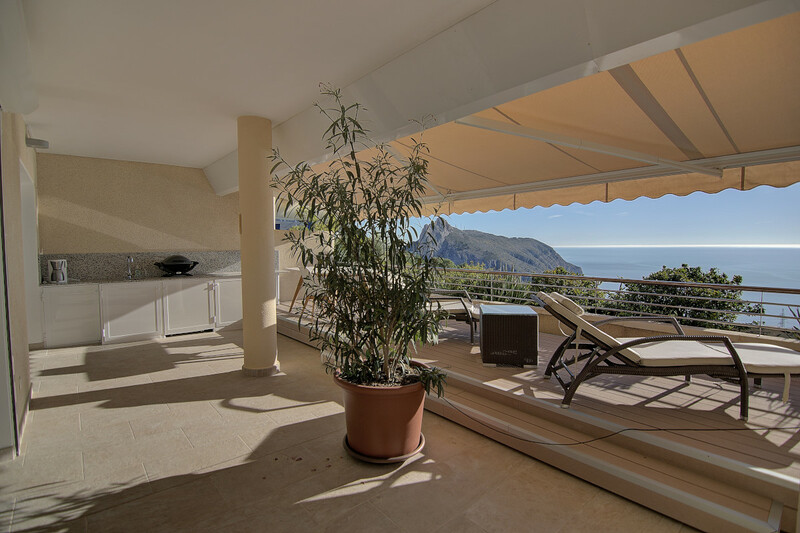 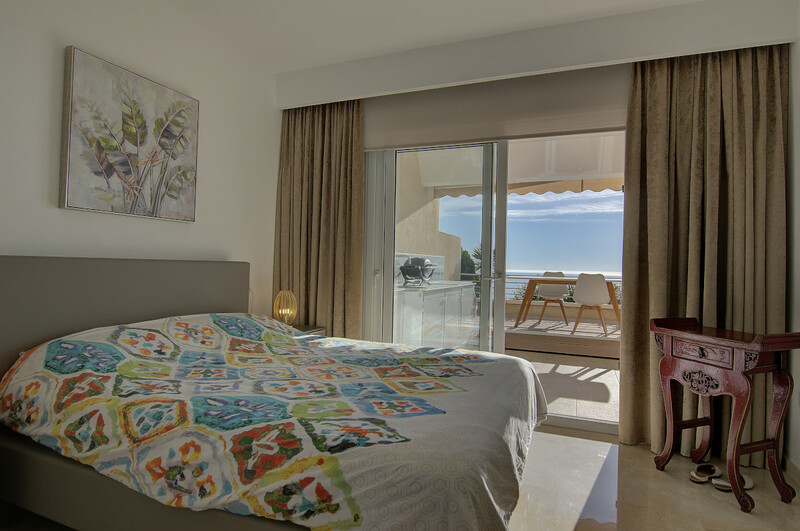 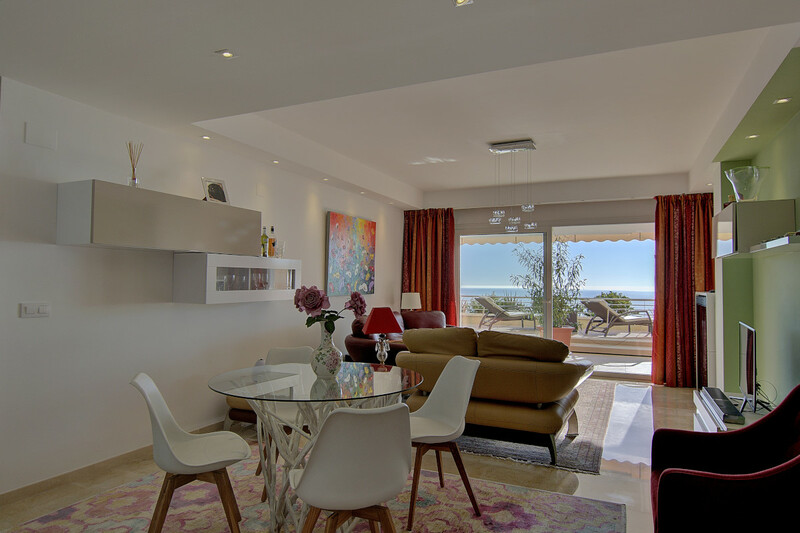 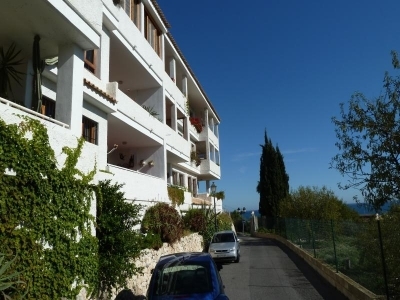 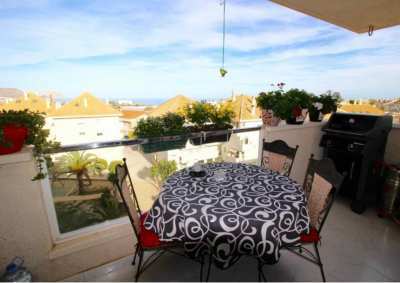 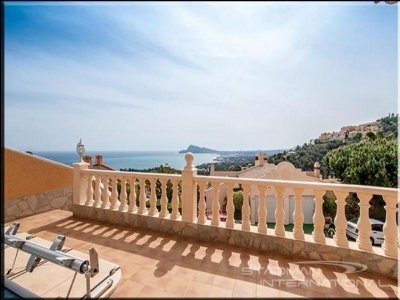 Luxury apartment on Altea Hills with sea view from Calpe to Benidorm. 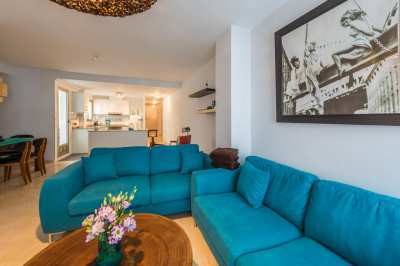 Apartment completely modern redecorated with interior architect. 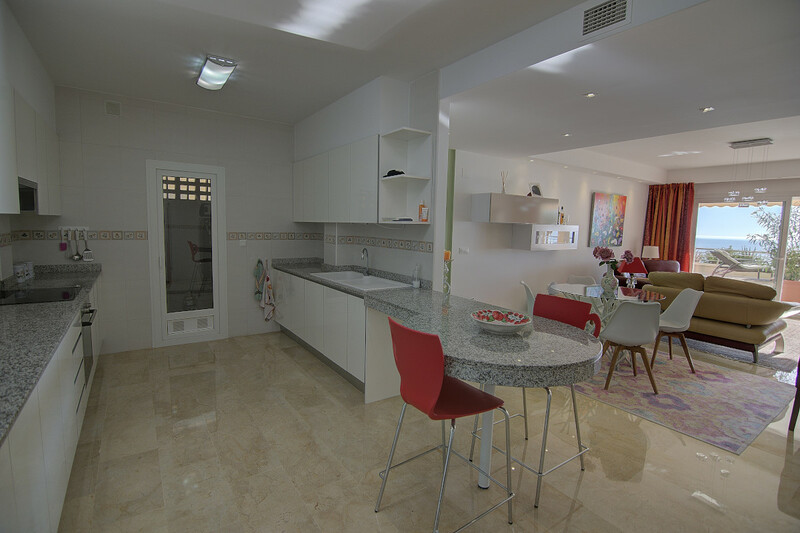 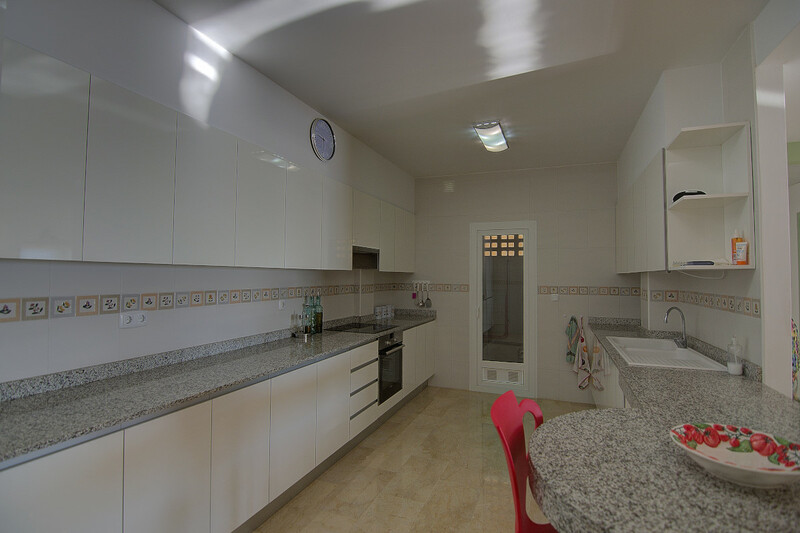 Consisting of a nice living room with open kitchen, equipped with Siemens appliances, ending with a dining area. 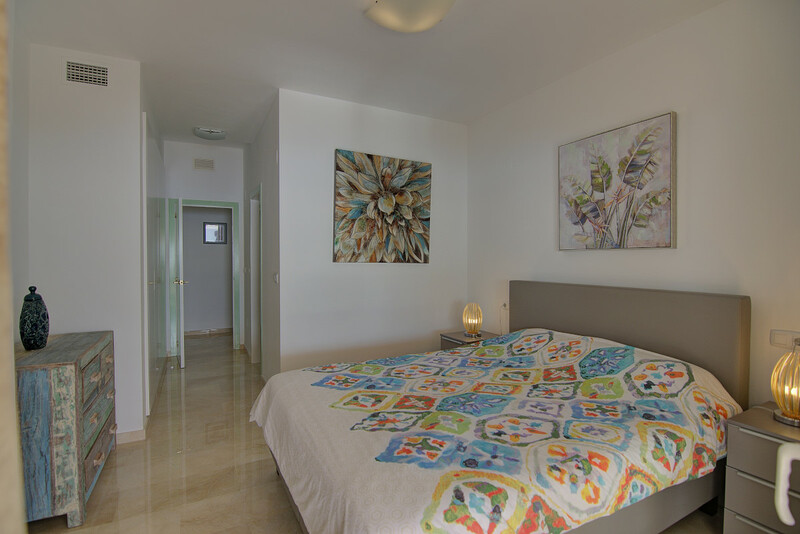 Two large bedrooms with fitted wardrobes, one with bathroom en suite. 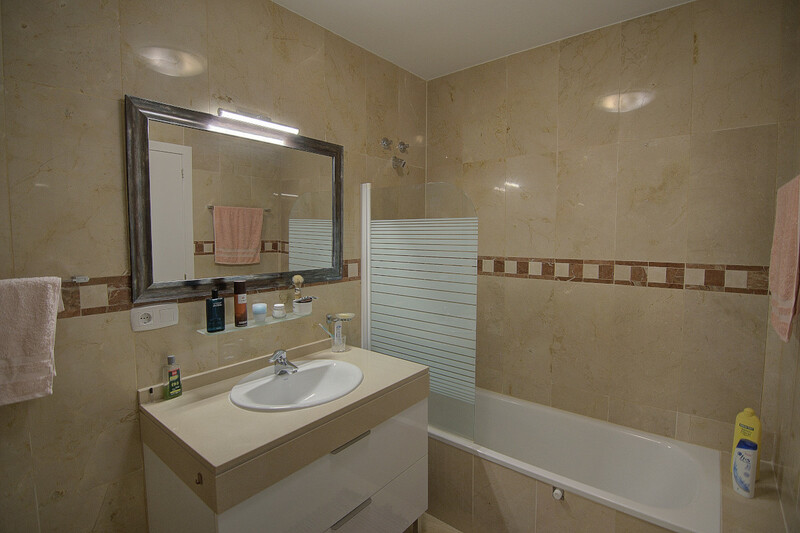 Second bathroom also equipped with toilet. 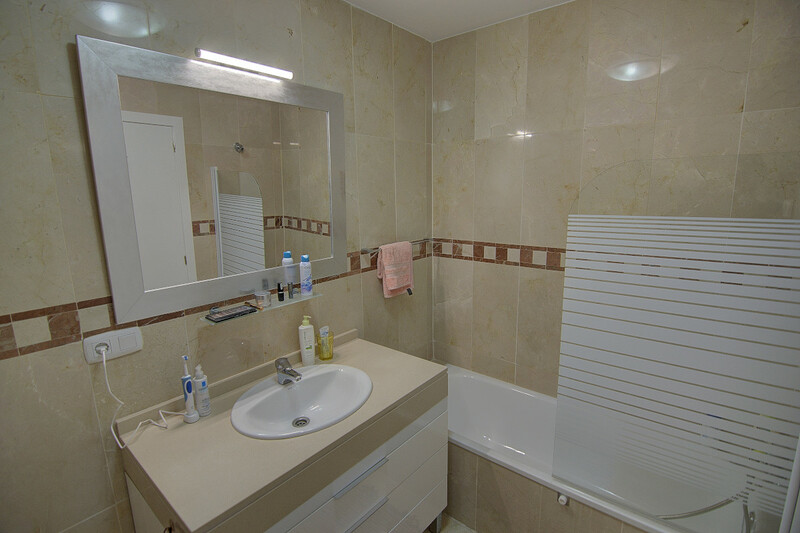 Bathrooms have underfloor heating. 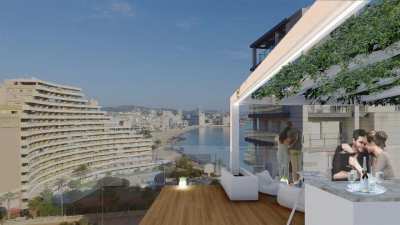 All pitches open onto a large terrace of 65m², which is semi-covered and with an open kitchen. 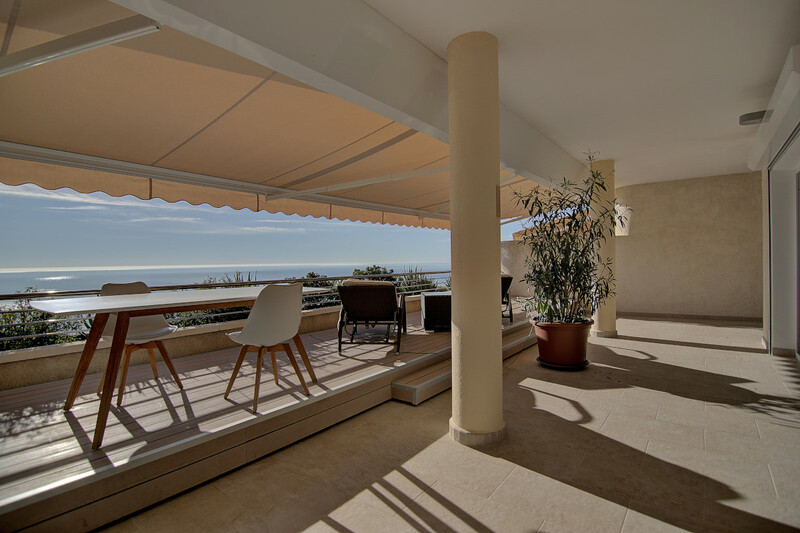 Here an automatic sun canopy, also all sliding door windows are equipped with electrically operated curtains and shutters. 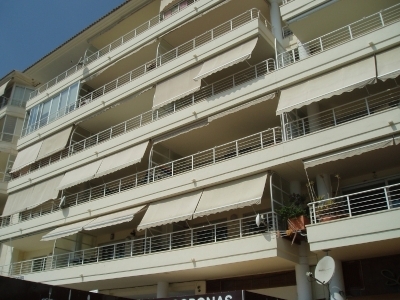 All places equipped with air conditioning k / w. There is a car site with storage space. 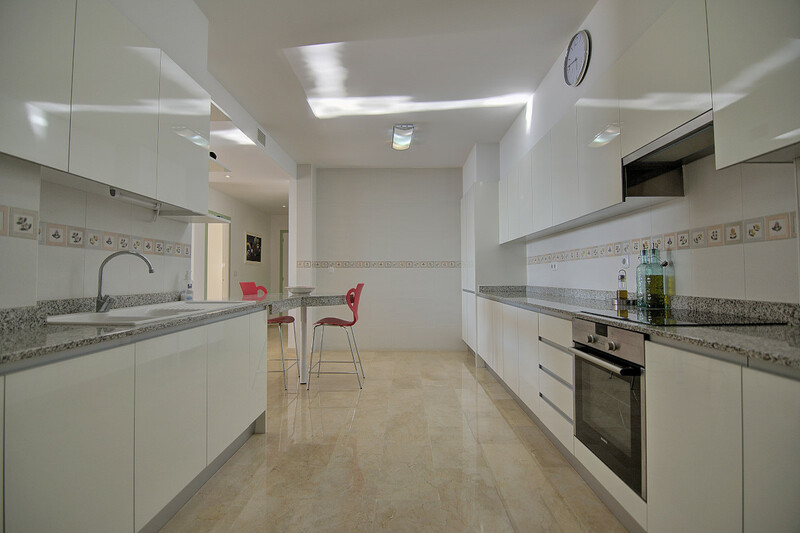 The apartment is oriented south and receives the sun all day long. 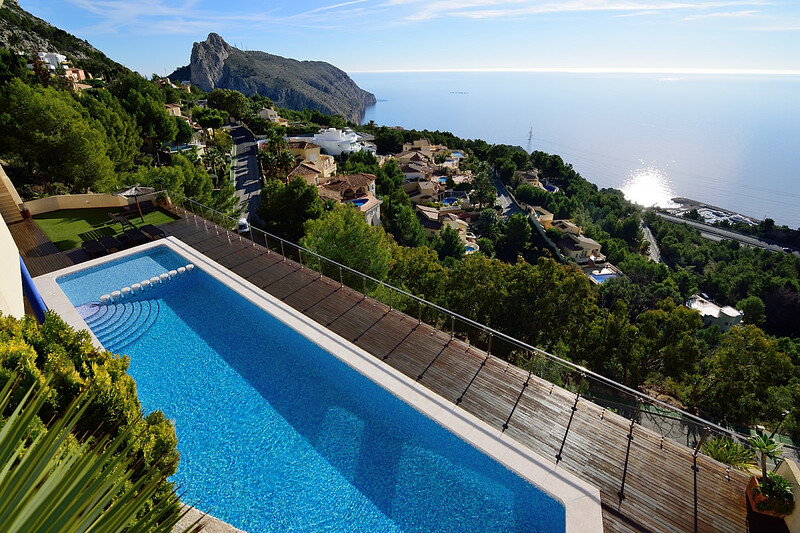 Another thing is that the communal pool is just one floor lower. 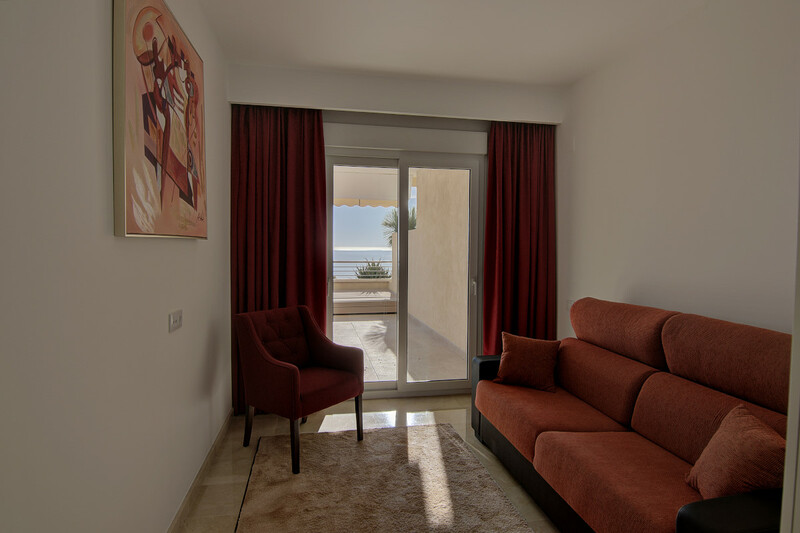 The complex also has a concierge service 24/24 and has an alarm system. 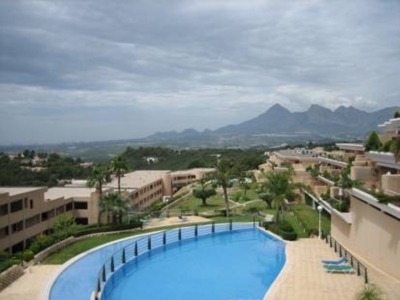 In this luxurious area are a few restaurants, shops and close to the harbor Campomanes.